The risk of developing diabetes is greater for women with previous gestational diabetes mellitus (GDM). In the general population, plasma lipidomic analysis can identify individuals at risk of developing type 2 diabetes. The aim of this study was to determine whether circulating lipid levels 12 weeks following a GDM pregnancy were associated with an increased risk of developing type 2 diabetes. Plasma lipid profiles containing >300 lipids were measured in 104 normal glucose-tolerant women 12 weeks following an index GDM pregnancy using electrospray-ionisation tandem mass spectrometry. Women were assessed for 10 years for development of overt type 2 diabetes. Among the 104 women with previous GDM, 21 (20%) developed diabetes during the median follow-up period of 8.5 years. Three lipid species, the cholesteryl ester species CE 20:4, the alkenylphosphatidylethanolamine species PE(P-36:2) and the phosphatidylserine species PS 38:4, were independently and positively associated with the development of type 2 diabetes. In a clinical model of prediction of type 2 diabetes that included age, BMI, and levels of pregnancy fasting glucose, postnatal fasting glucose, triacylglycerol and total cholesterol, the addition of these three lipid species resulted in an improvement in the net reclassification index of 22.3%. The lipid species CE 20:4, PE(P-36:2) and PS 38:4 were significant risk factors for the development of type 2 diabetes in women with a previous history of GDM. This report is the first to use plasma lipidomic analysis to identify individual lipids as potential biomarkers for the prediction of type 2 diabetes in women with a history of GDM. The online version of this article (doi: 10.1007/s00125-015-3587-7) contains peer-reviewed but unedited supplementary material, which is available to authorised users. The prevalence of diabetes worldwide is increasing. Alarmingly, it is predicted that by 2030 there will be 439 million people living with diabetes . Globally, type 2 diabetes is a major cause of morbidity and mortality [2, 3]. The cost of managing patients with type 2 diabetes places an enormous burden on the healthcare systems . It is now recognised that gestational diabetes mellitus (GDM) is an important predictor of the development of type 2 diabetes. We have previously reported that the risk of developing diabetes is 9.6 times greater for patients with a previous history of GDM, with a cumulative risk of 25% 15 years after diagnosis . Thus, the accurate identification of women with GDM who are at risk of developing type 2 diabetes is important for early intervention and the prevention of the current diabetes epidemic. A number of chemical biomarkers have been proposed as indicators for the development of type 2 diabetes in women with a history of GDM. Higher fasting plasma glucose levels during pregnancy, after adjustment for BMI and age, have been shown to be predictors of the metabolic syndrome 40 months  and 8.5 years  after the index pregnancy. Similarly, we have previously shown that fasting plasma glucose levels during pregnancy and postpartum, and postpartum C-peptide and ghrelin levels, were significant risk factors for the development of type 2 diabetes in women with a previous history of GDM . In the general population, several prospective studies have identified dyslipidaemia, particularly hypertriglyceridaemia, as an independent predictor of type 2 diabetes [9, 10]. However, it is now becoming clear that many other lipid types may be useful predictors of type 2 diabetes [11, 12]. However, no studies have used plasma lipidomic analysis to identify women with a history of GDM who have an increased risk of developing type 2 diabetes. Thus, the purpose of this study was to identify lipids and lipid profiles that are predictive of the development of type 2 diabetes in a cohort of women with a previous GDM pregnancy. The study was approved by the Mercy Health Research and Ethics Committee and written informed consent was obtained from all participants. Women were eligible for this study if they had a previous GDM pregnancy, were aged at least 18 years and English speaking. Women with pre-existing diabetes were excluded. Between June 2003 and December 2005, 148 women were recruited during their first pregnancy diagnosed with GDM. The diagnosis of GDM was made by an OGTT at 24–28 weeks of gestation, according to the Australasian Diabetes in Pregnancy Society (ADIPS) guidelines by either a fasting venous plasma concentration of ≥5.5 mmol/l glucose and/or ≥8.0 mmol/l glucose 2 h after a 75 g oral glucose load. All women diagnosed with GDM met with the hospital’s dietitian and were advised to follow the recommended Standard of Care diet for controlling blood glucose (40% carbohydrate, 15% protein and 45% fat). The women who participated in this study had an OGTT performed at 12 weeks postnatally, and only the women who had a normal glucose tolerance were further evaluated for this study. Participants were classified as having normal glucose tolerance (NGT), impaired glucose tolerance (IGT) or type 2 diabetes according to ADA criteria ; the criteria remained consistent for the duration of the study. At the time of the postnatal OGTT, women had their weight and height measured and a blood sample was taken for biomarker evaluation. The participants were followed up every 1–2 years for 8–10 years. During these follow-up visits, the participants underwent further OGTTs. Upon diagnosis of type 2 diabetes, the women were referred to their doctor for further specialist care. Postnatal blood samples were collected in EDTA tubes, centrifuged at 1,000 g for 10 min; plasma was supplemented with 0.1 mmol/l phenylmethylsulfonyl fluoride protease inhibitor (USB, Cleveland, OH, USA) and immediately stored at −80°C until assayed as detailed below. Plasma lipidomic analysis was performed as previously described . Briefly, plasma samples were randomised prior to extraction, internal standards (stable isotope labelled and non-physiological lipid species) were added and total lipids were extracted from plasma using a single phase, chloroform:methanol extraction process. Internal standards including species within the classes of dihydroceramide (dhCer 8:0), ceramide (Cer 17:0), sphingomyelin (SM 12:0), lysophosphatidylcholine (LPC 13:0), phosphatidylcholine (PC 13:0/13:0), lysophosphatidylethanolamine (LPE 14:0), phosphatidylethanolamine (PE 17:0/17:0), phosphatidylglycerol (PG 17:0/17:0), phosphatidylserine (PS 17:0/17:0) and cholesterol (cholesterol [d 7]) were purchased from Avanti (Alabaster, AL, USA). Cholesteryl ester (CE 18:0 [d 6]) was purchased from CDN Isotopes (Quebec, QC, Canada). Diacylglycerol (DG 15:0/15:0) and triacylglycerol (TG 17:0/17:0/17:0) were purchased from Sigma (St Louis, MO, USA). Glucosylceramide (GluCer 16:0 [d 3]), lactosylceramide (LacCer 16:0 [d 3]) and trihexosylceramide (THC 17:0) were purchased from Matreya (Pleasant Gap, PA, USA). Lipidomic analysis was performed using an Agilent 1200 HPLC system (Agilent Technologies, Santa Clara, CA, USA) coupled to an AB SCIEX API 4000 Q/TRAP mass spectrometer (AB Sciex, Framingham, MA, USA). Individual lipid species (300) were measured using scheduled multiple-reaction monitoring in positive ion mode. Lipid measures were calculated by relating the peak area of each species to the peak area of the corresponding internal standard. The measurements of 23 lipid classes were calculated by summing the individual lipid species within each class . Prior to association analysis, the concentration of lipid species were normalised using the interquartile range. A binary logistic regression was used to identify lipid species associated with the development of type 2 diabetes. Four traditional risk factors (age, BMI, pregnancy fasting OGTT and postnatal fasting OGTT) were used as covariates for this analysis. The lipid species associated with future diabetes with p values >0.01 were considered as candidates for multivariate model development. Starting with traditional risk factors and log transformed values of all the candidate lipid species in a binary regression framework, lipids were sequentially removed from the model based on the most insignificant p value. This process was stopped when all the lipid species in the model were significant (p < 0.05). To assess the performance of the selected lipid species for diabetes prediction, a threefold stratified cross-validation training/testing framework (repeated 200 times) was employed. In each iteration, three models (risk factors, lipids, and risk factors with lipids as predictors) were trained using a logistic regression classifier. The performances of the models were assessed by measuring AUC, accuracy, specificity and sensitivity. Finally, the mean and 95% CI of the performance measures over the 600 iterations were calculated to compare the performances of models. In addition, the net reclassification improvement obtained by using the combined model compared with the risk factor only model was computed. Of the 148 women recruited to the study, 44 were excluded due to missing clinical data. During the follow-up period of 8–10 years (median 8.7 years) of the 104 participants, 77 (74%) were NGT, six (5.8%) developed IGT and 21 (20.2%) developed type 2 diabetes. The median time to the development of type 2 diabetes was 8.5 years. Fifty of the 104 women were prescribed insulin during the third trimester of their pregnancy according to hospital guidelines for insulin therapy in GDM. The clinical details of the patients are presented in Table 1. The patients who developed type 2 diabetes were significantly older and had a significantly higher BMI at the time of postnatal blood collection. In addition, they had a significantly higher pregnancy and postnatal fasting glucose concentration, and postnatal total cholesterol and triacylglycerol levels. For all analysis, the NGT plus the IGT group was used as a reference to test the association of lipid species with the development of type 2 diabetes. The NGT and IGT participants were combined together as the IGT patients tended to fluctuate between NGT and IGT during the follow-up period. Multivariate analysis, after adjusting for age, BMI, pregnancy fasting OGTT and postnatal fasting OGTT, identified nine lipid classes and subclasses (Table 2) and 61 lipid species (electronic supplementary material [ESM Table 1]) that were significantly associated with the development of type 2 diabetes. However, after correcting for multiple comparisons, these associations were not significant. Table 3 lists the 11 lipid species that were selected for further analysis based on uncorrected p values of <0.01. These were the ceramide species Cer 22:0 and Cer 24:0; the sphingomyelin species SM 42:1; the alkylphosphatidylcholine species PC(O-36:3); the alkylphosphatidylethanolamine species PE(O-36:3) and the alkenylphosphatidylethanolamine species PE(P-36:2); the phosphatidylinositol species PI 36:1; the phosphatidylserine species PS 38:4; and the cholesteryl ester species CE 18:1, CE 18:2 and CE 20:4, which were all positively associated with the development of type 2 diabetes. A logistic regression model was used to assess the association of these 11 lipid species combined (identified in Table 3) with the development of type 2 diabetes (Table 4). Using log transformed data with a sequential elimination approach, three lipid species remained significantly and positively associated with the development of type 2 diabetes: CE 20:4, PE(P-36:2) and PS 38:4. These three lipid species were then used in a predictive model for the development of type 2 diabetes (Table 5). Six risk factors (age, BMI, and levels of pregnancy fasting glucose, postnatal fasting glucose, triacylglycerol and total cholesterol) were used in the base model. The addition of the three lipid species CE 20:4, PE(P-36:2) and PS 38:4 to the base model improved the accuracy (80.5% – 83.6%), increased the area under the receiver operating characteristic (ROC) curve (0.756 – 0.865) (Fig. 1), increased its discriminatory ability (increase in sensitivity from 34.3% – 59.0%) and resulted in a net reclassification index of 22.3%. In our cohort of women with previous GDM, we found that age, BMI and levels of pregnancy fasting glucose, postnatal fasting glucose, total cholesterol and triacylglycerol were significantly higher in women who went on to develop type 2 diabetes than those who did not (NGT or IGT). Thus, we created a clinical risk model for the development of type 2 diabetes using these six risk factors. Importantly, the inclusion of three plasma lipid species to this base model improved the prediction of type 2 diabetes in women with a previous GDM pregnancy; the combination of six clinical risk factors and three lipid species, CE 20:4, PE(P-36:2) and PS 38:4, produced a model with increased discriminatory ability (an increase in sensitivity of 15.7% [34.3% – 59.0%]). Although there was a concomitant decrease in specificity of 2.3% (92.2% – 89.9%), clinically this decrease would result in only a small increase in false positives, and overall we observed a net reclassification index of 22.3%. The addition of the lipid species into the model resulted in the total cholesterol and triacylglycerol variables losing significance, indicating collinearity between the clinical lipid measures and our lipid species. Furthermore, the final model demonstrates that the individual lipid species are better predictors than the clinical lipid measures. Only one prior study has profiled plasma lipid species in women with a previous history of GDM . In this study, 100 serum samples from the Hyperglycemia and Pregnancy Outcome (HAPO) study (mean postnatal follow-up of 22 months) were analysed. Participants were stratified by glucose tolerance during a previous index pregnancy into three risk groups, overt GDM, those with glucose values in the upper quartile but below GDM levels, and controls. Substantial differences in metabolite profiles were apparent between the two at-risk groups and controls, particularly in concentrations of phospholipids (four metabolites), acylcarnitines (three metabolites), short- and long-chain fatty acids (three metabolites) and diacylglycerols (four metabolites). However, none of these metabolites matched the lipid species identified in the current study and no prediction model was created. Several reports have investigated the additive effectiveness of including individual lipid species for the prediction of diabetes [11, 12, 16, 17, 18]. In the Australian Diabetes, Obesity and Lifestyle (AusDiab) study, the inclusion of 21 individual plasma lipid species to triacylglycerol and HbA1c as predictors in the diabetes risk classification model resulted in a statistically significant gain in area under the ROC curve and a significant net reclassification improvement . Interestingly, ceramide and its biosynthetic precursor dihydroceramide are consistently associated with the development of diabetes [12, 16]. In the current study, total ceramide and ceramide lipid species Cer 22:0 and Cer 24:0 were positively associated with the development of type 2 diabetes (prior to correction for multiple comparisons). We also found that the ceramide metabolite sphingomyelin SM 42:1 was a significant predictor of type 2 diabetes, although also not retained in the final model. Collectively, these findings suggest that the ceramide biosynthetic pathway is a common metabolic process in the pathogenesis of type 2 diabetes in both the general population and in women with previous GDM. Ceramide is recognised as a proinflammatory lipid, although the mechanistic basis of the observed elevated plasma ceramide level in type 2 diabetes is not fully defined. LDL enriched in ceramide has been shown to lead to increased insulin resistance in skeletal muscle and a proinflammatory state in macrophages . IL-6 is thought to be involved in the metabolic link between ceramide, insulin resistance and inflammation . Furthermore, the accumulation of ceramide has been demonstrated to be detrimental to pancreatic beta cells [21, 22, 23] and may, therefore, play a direct role in the pathogenesis of type 2 diabetes. Alkenylphosphatidylethanolamines (plasmalogens) contain a vinyl ether linkage that is particularly susceptible to oxidation by reactive oxygen species, and as such they are proposed to play an antioxidant role in membranes and lipoproteins . Ethanolamine plasmalogens prevent oxidation of cholesterol by reducing its oxidisability in phospholipid bilayers  and are involved in the regulation of cholesterol esterification and efflux . We have previously observed that some plasmalogen species are negatively associated with conditions of high oxidative stress, including type 2 diabetes  and coronary artery disease . The observed positive association of plasmalogens with future type 2 diabetes in this cohort may therefore represent an early compensatory mechanism in response to elevated oxidative stress in these individuals. Also worth noting is that while total cholesterol is not considered a risk factor for type 2 diabetes in the general population, total cholesteryl esters and individual cholesteryl ester species have been shown to be significant predictors of type 2 diabetes [12, 14]. Similarly, in this study, total cholesteryl ester and several cholesteryl ester lipid species were positively associated with the development of type 2 diabetes. Although no other studies have profiled cholesteryl esters as predictors of diabetes in women with previous GDM, a prospective case–control study identified 35% of women with GDM as ‘high-risk’ for the development of diabetes 10 years after diagnosis based on cardiometabolic risk measurements in pregnancy that included LDL and HDL . Interestingly, our previous studies in two population-based cohorts also found that CE 20:4 was associated with the development of type 2 diabetes. Specifically, in the AusDiab and San Antonio Family Heart Study (SAFHS) , CE 20:4 was significantly and positively associated with type 2 diabetes and impaired glucose tolerance and/or impaired fasting glucose in a cross-sectional analysis. In the same study, neither PE(P-36:2) nor PS 38:4 showed a significant association with type 2 diabetes, indicating that changes preceding type 2 diabetes are not necessarily reflected in the disease state. These initial changes may relate to early compensatory mechanisms that are subsequently overcome as the disease progresses. There are limitations of the current study. First, recruitment of participants was ad hoc and did not include all women diagnosed with GDM during the study period. Second, we could not correct for family history and ethnicity, which are known risk factors for diabetes, as we did not have this data available. Nevertheless, women attending this hospital comprise a mixed population including European, Asian, Middle Eastern and African ethnicities. Another limitation of our study is its relatively small sample size, which might have led to false-positive associations or overestimation of the effect size for the individual lipids. Moreover, true associations might have been missed and the effect size might have been underestimated for some of the lipid species. Although we have used a stringent cross-validation approach to assess the performance of the classification models, we were unable to provide an independent validation of the predictive model. Women with a previous history of GDM have a substantially increased risk of developing type 2 diabetes later in life . Thus, the identification of women at increased risk provides an opportunity for early treatment to prevent onset or progression of the disease. Indeed, lifestyle intervention and/or medications have been shown to delay the development of type 2 diabetes in women with a history of GDM [29, 30]. During a median follow-up of 30 months, troglitazone treatment was associated with a 55% reduction in the development of type 2 diabetes in women previously diagnosed with GDM . 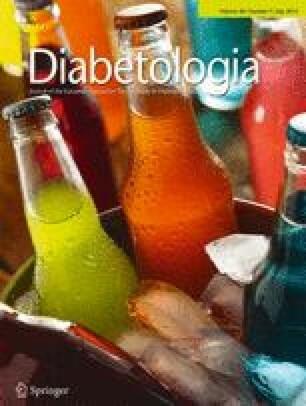 Furthermore, in women with a history of GDM, 3 years after both intensive lifestyle and metformin therapy, the incidence of diabetes was reduced by approximately 50% compared with the placebo group . In conclusion, the inclusion of three lipid species to a risk-factor base model increased its predictive ability to identify women with a previous GDM pregnancy at risk of developing type 2 diabetes. Early identification of women at greatest risk may assist in improved targeted interventions aimed at the prevention of type 2 diabetes following a GDM pregnancy. Evaluation using a larger study population and a longer follow-up period is needed to confirm these results. This manuscript is dedicated to the memory of Emeritus Professor Norman Albert Beischer AO – an inspiring leader, obstetrician, educator, researcher, mentor and philanthropist. C.C.J. Louzios, A. Bohren and S. Ristevski (Department of Obstetrics and Gynaecology, University of Melbourne, Heidelberg, VIC, Australia) are thanked for their assistance with patient recruitment. ML is supported by a Career Development Fellowship from the National Health and Medical Research Council (NHMRC) of Australia (grant no. 1047025). PJM is supported by a NHMRC Senior Research Fellowship (grant no. 1042095). The work described in this manuscript was funded by the Medical Research Foundation for Women and Babies (ML, HMG), NHMRC of Australia (PJM) and the OIS Program of the Victorian Government, Australia (PJM). ML conceived the study and carried out the experiments. All authors contributed to the study design and procedures. DJ recruited the patients. PAM, GW, KH and PJM analysed the data. ML, PAM, HMG and PJM drafted the manuscript. All authors revised the manuscript critically for important intellectual content and approved the final manuscript. ML and PJM are the guarantors of this work.